The Initiative’s goal is to reduce health inequities affecting the poorest 20 percent of the population in Central America and Southern Mexico. Launched in 2010, Salud Mesoamérica 2015 (SM2015) is a five-year initiative that targets millions of poor people, with a focus on women and children who have limited access to inexpensive health interventions of proven efficacy. The initiative will cover eight countries of the Mesoamerican region (Belize, Costa Rica, El Salvador, Guatemala, Honduras, Nicaragua, Panama, and the State of Chiapas in Mexico). In the coming years this partnership seeks to reduce by an average of 15 percent the infant mortality among the poorest 20 percent of the region’s poorest population; provide health services for some 260,000 children to reduce chronic malnutrition; and increase by 50 percent of births attended by skilled personnel, in order to reduce deaths of mothers and newborns, among others issues. The Bill & Melinda Gates Foundation, the Health Institute of the Carlos Slim Foundation, and the Government of Spain through AECID are each contributing $50 million. The Inter-American Development Bank is the executing agency responsible for working with region’s governments to prepare, implement and monitor projects funded by the initiative, and to commission independent evaluations. The IDB will also manage the combined $150 million contribution of the donors. 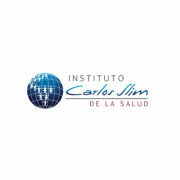 The Carlos Slim Health Institute (ICSS) was established in 2007 through the initiative of Carlos Slim Helú to develop and fund programs that participate in solving the main health problems of Latin America and the Caribbean. The Institute works on a human scale, with an innovative spirit and a clear concern for the neediest populations. The Institute’s goal is to develop and implement best solutions, focusing on all aspects of health: from pregnancy and childbirth to geriatric care; from improvement of the household environment to taking care of the environment; from the physical and emotional care of individuals to social factors; from recognition of individual efforts in the health sphere to the contributions made by organizations and communities; from personal self-care to the major problems of the Latin American region; from the dissemination of traditional knowledge useful for health to the development and introduction of the most advanced technological solutions. The Carlos Slim Health Institute was organized to develop health solutions with a clear and promising goal: to help people live longer and better. 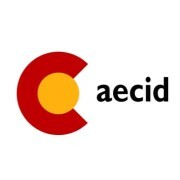 The Spanish Agency for International Development Cooperation (AECI) , is a legal entity under the Ministry of Foreign Affairs and Cooperation through the Secretary of State for International Cooperation (SECI). It is the management authority of the Spanish policy of international cooperation for development, and its objective is the promotion, management and implementation of public policies on international development cooperation aimed at combating poverty and achieving sustainable human development in developing countries, particularly those contained in the Master Plan in place every four years. The fight against poverty is the ultimate objective of Spanish policy on international cooperation for development. This is part of the external action of the state and is based on a conception of interdependence and solidarity of the international society. The geographic priorities of the Master Plan for Spanish Cooperation for 2009-2012 are set from performance criteria and indicators of development, presence and articulation of Spanish cooperation in the country, the partnership framework as possible in the country, country's potential as a development partner and the relative position of Spanish cooperation from other donors. Least Developed Countries, Low Income Countries or Lower Middle Income Countries, where there are opportunities to establish a long-term partnership framework which will enable large amounts of ODA to be channeled and a wide range of instruments to be used. Least Developed Countries, Low Income Countries or Lower Middle Income Countries, where the cooperation programme does not allow an A-type partnership. Those partnerships will have greater development impact if the partnership is focused on a single key sector, or on more than one, but with a single approach and a selective use of instruments. Countries that enable the establishment of specific partnerships strategies to promote development by strengthening inclusive public policies, promoting south-south cooperation, triangular cooperation and the provision of global public goods. AECID’s international network is composed of 44 AECID Technical Cooperation Offices (CTO) that manage, coordinate and monitor the Agency’s development interventions in the field; 19 cultural centers, incharge of cultural cooperation and programming; and 6 training centers in partner countries where coursesa dn seminar are held. • Cooperation programmes and projects. • Direct Budget Supports and Pool Funds. • Technical Assistance to institutions from partner countries, programme assistance and micro-credits. • Contributions to multilateral programmes and organizations, as well as to global funds. • Grants to NGOs and other development actors. • Awareness-raising and education for development programmes.